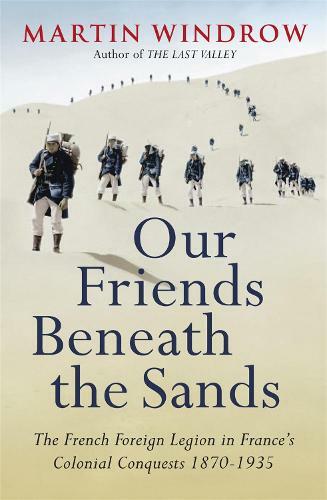 The gripping true story of the French Foreign Legion in the Sahara. Ever since the 1920s the popular legend of the French Foreign Legion has been formed by P.C. Wren's novel BEAU GESTE - a world of remote forts, warrior tribes, and desperate men of all nationalities enlisting under pseudonyms to fight and die under the desert sun. As with all cliches, the reality is far richer and more surprising than this. In this book Martin Windrow describes desert battles and famous last stands in gripping detail - but he also shows exactly what the Foreign Legion were doing in North Africa in the first place. He explains how French colonial methods there actually had their roots in the jungles of Vietnam, and how the political pressures that kept the empire expanding can be traced to battles on the streets of Paris itself. His description of the Berber tribesmen of Morocco also reveals some disturbing modern parallels: the formidable guerrillas of the 1920s were inspired by an Islamic fundamentalist who was adept at using the world's media to further his cause. Martin Windrow's previous book THE LAST VALLEY received fabulous reviews across the English-speaking world. This unique book, which is the first to examine the 'golden age' of the Foreign Legion has followed suit.